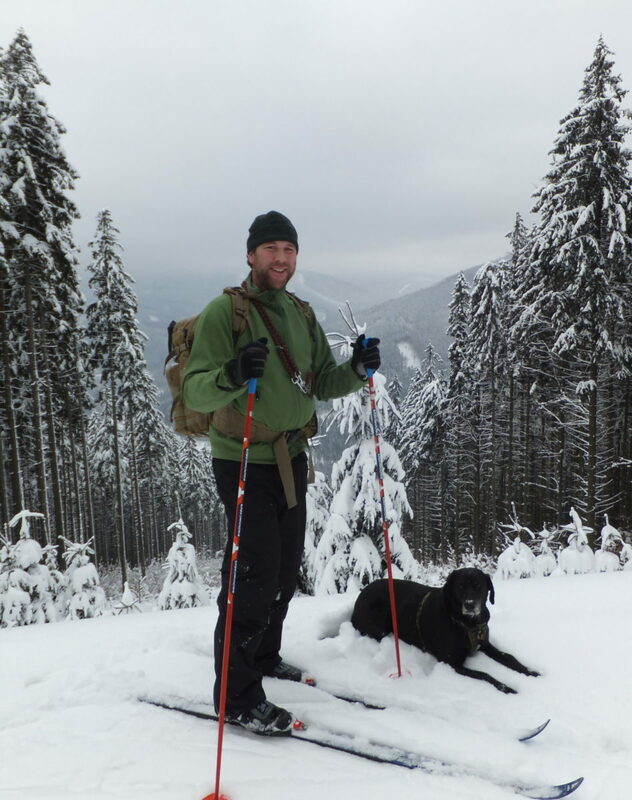 Our Man and Our Dog up a mountain in the snow, having a great time in the Czech Republic! Welcome to the wonderful Czech Republic – Land Of So Much More Than Prague! It’s a fantastic place for beer and wine tours but there’s also a whole way of life just waiting to be discovered by the active visitor or ex-pat worker. Our Man In Moravia has been living in the region since 2009, along with Our Lass, Our Dog and more recently, Our Kid In Moravia. His reports are irregular but give a valuable insight into life in this far corner of the European Union. If you’ve had enough of Prague and want to see the real Czech Republic, ask Our Man for advice. He’ll get back to you as soon as he has any time free in his busy schedule of camping, hiking, skiing, or taking care of tourists who venture this far from Prague, . If you can’t find what you’re looking for here, use our contact form to let us know. If it’s here, Our Man will find it for you. If it’s not here, he will save you the journey!